What does ReconArt for NetSuite mean? The simple answer would be: Managing and Automating your Reconciliations while NetSuite is your ERP system. A more elaborate answer would be: NetSuite works the way your business works, built from the ground up to the cloud. NetSuite manages your business process and integrates your company’s financials, supply chain, operations, reporting, manufacturing, and human resource activities. However, no ERP can do it all – and Reconciliation is an integral part of contemporary accounting and finance that needs special attention. Whether bogged down with millions of transactions, having difficulties processing specific bank formats, experiencing deficiency in digesting common ERP financial data, struggling to reconcile the accounts, or not being able to demonstrate an auditable balance sheet reconciliation process, the common thought among finance professionals using ERP systems is “There has to be a better way”. NetSuite clients do not have to miss the reconciliation mark. This “Better Way” for NetSuite clients is ReconArt for NetSuite – combining all the benefits of #1 Enterprise Resource Planning Cloud Business Software – NetSuite, with #1 Fully Web-based Cloud Reconciliation Platform – ReconArt. The best of both worlds, integrated into one, is achieved as part of SuiteCloud Developer Network (SDN) Partners – the “Built for NetSuite” program. ReconArt team designed and developed a communication bridge integrating ReconArt and NetSuite Systems. task management and journal entries back to the GL. ReconArt for NetSuite is a 100% web deployed across every function: set up, administration, daily and period end activities and reporting – everything performed in the user’s browser of choice with no plug-in software installed. The Total Reconciliation Lifecycle solution is immediately available as a cloud-delivered Software-as-a-Service. 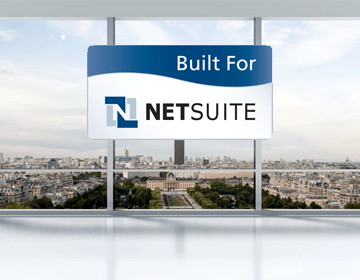 What are the ReconArt for NetSuite key benefits? Which are the common reconciliation types supported by ReconArt for NetSuite? ReconArt for NetSuite covers all NetSuite customer industries and reconciliation subject specifics. Finance, Payment Services, eCommerce, Travel and Hospitality, Education, Food Services, Healthcare, Insurance, Manufacturing, Online Services, Internet & Telco, Retail, are all examples of supported industry domains. By adopting ReconArt for NetSuite, clients across all industries globally promote both efficiency and reconciliation practice maturity. ReconArt allows organizations to establish the highest degree of automation, best practice, control and consolidation of their account reconciliation, reporting, and audit processes within a single Total Reconciliation Lifecycle solution. WorldRemit is an online service that lets people send money to friends and family living abroad, using a computer, smartphone or tablet, available to senders in more than 140 countries and the number is growing all the time. WorldRemit adopted ReconArt to allow a fully automated daily reconciliation of incoming and outgoing online FX transactions across many different currencies and correspondent banks. In addition to high-volume transaction matching, the team leverages ReconArt for journal entry approvals and balance sheet reconciliation at period-end. Fullerton Health is a leading provider of corporate healthcare solutions across Asia Pacific with more than 225 fully-owned medical centers and a network of more than 8,000 medical providers. As a fully integrated healthcare organization, Fullerton Health provides enterprise healthcare services, such as occupational health services, primary care services, executive health screening and medical benefits management services. FHG is currently using ReconArt to perform bank reconciliation for their Australian entity. Тhe reconciliation is ran on a daily basis, with automatic upload & matching processes, where journals are sent via weblink to NetSuite. The company is also looking to implement benefits & payments reconciliation across multiple countries, including China, Singapore, Indonesia in the near future. TransferGo is the most convenient way to send money abroad for migrants and businesses. TransferGo is a ‘pure-play digital’ international money transfer service that is regulated by the UK Financial Conduct Authority (FCA) as an authorized payment institution, enabling international money transfers across Europe and other global destinations. After successful Nolan replacement, today TransferGo uses ReconArt for its daily bank reconciliation activities. TransferGo’s reconciliation is a high volume, daily process, which leads to automatic journaling and import into NetSuite. ReconArt allows for clear auditing of past transactions and follow-through of existing records. Deliveroo is on a mission to bring you meals from high-quality restaurants with a transparent, speedy delivery service, courteous, friendly drivers and unparalleled customer service. Founded in 2012, Deliveroo is bringing great food to customers in 12 countries and over 200 cities. Deliveroo reconciles all cash and bank transactions through ReconArt on a daily basis in GBP. They use the automatic upload and reconciliation functionality of ReconArt, allowing for them to focus only on reconciled items. Founded in 2014, InstaReM has created a unique payment mesh in Asia, which is being leveraged by financial institutions, SMEs and individuals to make fast and low-cost cross-border payments to more than 60 countries across the globe. InstaReM reconciles worldwide transactions from all vendors through ReconArt, with more than 60 different data sources. The company is able to synchronize their data into a uniform and coherent format, which allows for easy statistics and comparison between the various vendors. Texture is a completely new way for readers to experience the world’s best magazines, reimagined for how people consume content today. Texture combines everything readers know and love about the print magazine experience and layers onto it the power of digital—giving people a curated reading experience that’s available anytime, anywhere. ReconArt was initially referred to Texture by an existing Bay Area customer from the Hospitality space. Today they use ReconArt to reconcile hundreds of thousands credit card transactions between their sales records and multiple payment provider records including PayPal. Pepperstone Financial is an execution only forex brokerage firm. The company provides access to fair, competitive and transparent pricing across all major currency pairs by equipping traders with best-in-class trading technology and customer service. Pepperstone leverages ReconArt to reconcile accounts for several payment processors, as well as multiple bank accounts, all in multiple currencies. ReconArt is utilized for matching purchase orders and withdrawals against bank settlements and processor data in various data formats. ReconArt also assists the team in tracking and booking journal entries coming out of the reconciliation into NetSuite. In an increasingly collaborative economy, Smiles Inclusive was established to leverage the best parts of owning your own practice with the greatest aspects of joining a corporate business. Smiles Inclusive offers interested practice owners the ability to retain a vested interest in their business, while alleviating themselves of routine business functions which can diminish the very reason the core business exits – to perform dentistry. Smiles Inclusive leverages ReconArt to automate and control the transactional reconciliation of their multiple dental practices in one centralized and auditable solution. ReconArt reconciles income and journals revenue, through the process of matching receipts of payments to invoices of services rendered. The solution sits between NetSuite, their practice management software, and multiple external payment sources and Medicare, Veterans Affairs, and other insurance providers. We invest constantly and heavily to align our solution with client requirements while helping our partners understand and meet their ever-changing needs. It is a process of continuous improvement that differentiates ReconArt from similar solutions on the market.